ACT NOW.. INVESTOR LIQUIDATING & COMMITTED ELSEWHERE !! THEIR HOME MUST SELL NOW !! INVESTOR REALISING PROPERTY PORTFOLIO & WANTS TO SELL! Entertainers Delight – Superior Townhouse Living! This is a true entertainer! 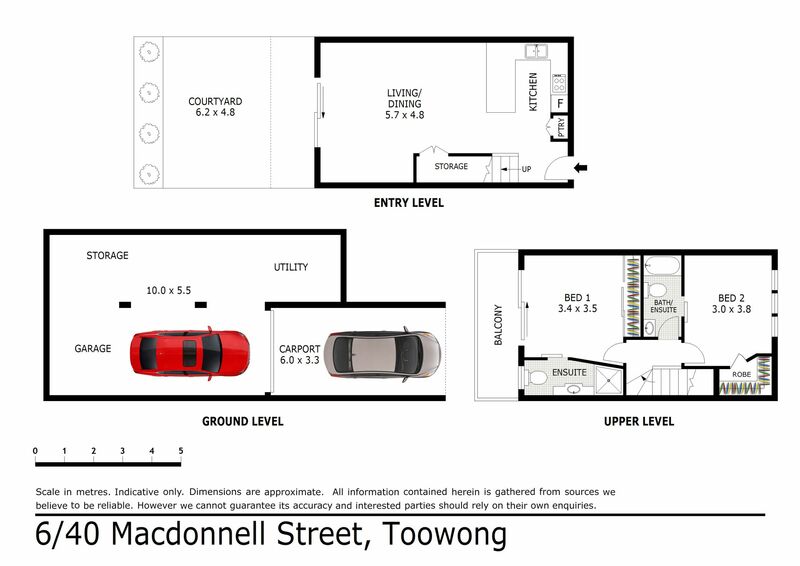 Set in a tightly held complex in a first class position, this large two level 152sqm (on title) two bedroom townhouse is located in the heart of Toowong and only moments from train and bus connections plus the world class facilities of the University of Queensland. Peacefully tucked away at the rear of the boutique complex. Here you will also find your electric garage accommodation for two cars + a great utility space perhaps you could run a home business from here? One minute drive to Toowong Village shops, Train stations (Toowong & Taringa) moments away, parks, riverside walkways; iconic schools and colleges…so much so near can only underpin the future value of your new home. A safe blue-chip neighbourhood where with peace of mind you can lock-up your home and head to the coast for the weekend (or a week). Why not take the opportunity to view today and discover the ultimate lifestyle? The natural leafy surrounds create a relaxed ambiance, away from life’s hustle and bustle.